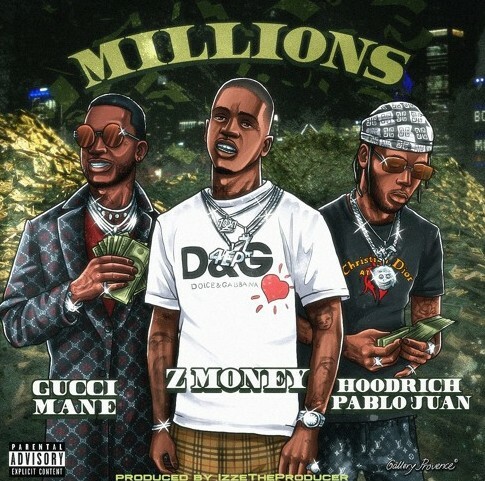 Z Money links up with Hoodrich Pablo Juan and Gucci Mane to release his newest track, “Millions.” On Instagram this morning, Z Money announced the release of the new song and a happy born day nod to label-boss, Gucci Mane. The song is dripping with swag from the moment you press play. Z Money leads in the track with his soft-spoken voice whipping up an almost haunting set of bars that relish his luxurious lifestyle. Gucci Mane and Hoodrich Pablo Juan follow suit, each deliver their own money-laced verses furthering the song’s flex-happy theme. It would be an injustice to listen to this song any other way than loud. Make sure to follow each emcee on social media and spread the word about Z Money’s new record!